Cyclists on our busy roads are vulnerable, whatever their age and level of experience. Even those cyclists who take precautions and ride safely are susceptible to injury from motorists. When accidents occur, the injuries inflicted on cyclists by cars and trucks can range from cuts and bruises to serious, life-altering conditions and in some cases can be fatal. At Sarrail, Castillo & Hall, LLP, we advise injured cyclists and their families on all aspects of their claims. We also act for those accused of causing accidents and their insurers. Our broad experience helps us to frame a sensible claim and approach each case pragmatically. We believe our honesty benefits our clients.  In Burlingame, our pedestrian accident and injury attorneys fully support every initiative to make roads safer for cyclists and pedestrians. We promote the creation of separate cycle lanes and requirements that cyclists wear safety helmets and reflective clothing. We are also in favor of educating all motorists about the dangers of cycling and how to look out for and avoid cycling collisions. Although many cycling accidents are avoidable, they do occur, and their effects can be devastating. Serious head injuries, including traumatic brain injury, can occur as a result of a cycling accident. We have seen victims of accidents experience long-term, life-altering physical and psychological effects of accidents. Our lawyers routinely make home and hospital visits to our clients and their families. It is important to act quickly following any type of personal injury, and we advise clients and their families to gather as much evidence and information as possible about the incident and the circumstances surrounding it to assist their claim. The legal team at Sarrail, Castillo & Hall, LLP, led by James Sarrail and Monica Castillo, has in-depth knowledge of the law regarding unsafe roads, and we always suggest a thorough examination of the location where the accident occurred to ascertain whether a claim should be brought against the entity responsible for ensuring the safety of the nearby roads. If you or a relative has been involved in an accident while on a bicycle or involving a bicycle, make an appointment by calling 650-513-8899 or contact us online. We don’t collect on personal injury cases unless you win your case, so you have nothing to pay upfront.